How do security cameras and sensors work as a part of a home security framework? There are a good number of facts you should know before you buy a security camera, but the most important fact you should know is exactly how a security camera works as part of the greater home security network that also includes any adjoining sensors. For the most part, security cameras are a passive security deterrent that is primarily used for the purposes of monitoring specific locations. This means that homeowners can keep an eye on remote parts of their homes, or set them up at vantage points that help warn them of danger in a timely fashion. The same concept applies to sensors as well. There are a wide variety of sensors that can be used in a home. A common example of a sensor that can be used to secure some parts of your home is the NestCam outdoor security camera. These sensors can be used in conjunction with monitored security systems as well as some easy to set-up security cameras that are stand-alone security devices. Sensors are also a passive security measure, and they are geared towards alerting homeowners rather than directly engaging or interacting with any apparent or perceived threats. The overall effectiveness of your surveillance camera rests on where it is located and how it is placed. There isn’t a complicated or convoluted reason behind this, it is merely the fact that if your surveillance cameras are installed in the wrong location, they will not help you get the footage you desire. For instance, if they are installed at an inappropriate height, they might be too high up or too low to capture anything that can be used in terms of security. Also, if they are not installed within the correct focus range of your camera, catching footage will mean nothing if it lacks clarity. This might sound a little more confusing than it actually is, so allow me to explain what it means to achieve obscurity and visibility all at the same time. Ironically, the thing that is important here is perspective. Your surveillance cameras should always be visible to you, in the sense that they should always give you a clear idea of what is going on in and around your home. Ideally, they should be placed in locations that give you the best vantage point to see all you need to see, both on the interior and exterior of your home. On the other hand, they should also be obscure enough so that, from the perspective of a burglar or unauthorized party, they are hard to spot and even harder to access. The same concepts apply to sensors as well, especially if they are used to guard weak spots like doors and windows. If a burglar can easily pick out your deterrents, it will be much easier for them to circumvent and gain access to your home. What do you have to take into account for placement? The main factor that has to be taken into account for security camera placement is whether or not the camera has enough room to capture clear and concise footage. As has been pointed out already, surveillance cameras and security cameras are passive security measures. This means that without being able to capture clear footage they are of little use. It should be noted that making the determination of your cameras focus range will be contingent on the type of camera that you buy in the first place. Not all cameras are built the same, which means that focus range varies from camera to camera. Ideally, you would like to give your security cameras enough room to rotate and capture the full scope of the specific area being guarded. Homeowners should take the specific features of their surveillance cameras into account so that they can install them in a way that plays to their strengths. Taking the space your sensors operate in into account is similar to giving your security cameras enough room for clarity. When choosing a location to install sensors, you have to be cognizant of the way these sensors communicate, as well as the ways in which a burglar or intruder might attack any access points. Sensors can be placed in multiple places and can be utilized to cover corners that your surveillance cameras might not be able to adequately work in. The most common example of using sensors effectively is placing them on auxiliary access points that might not work well with surveillance equipment. What are the best locations to place surveillance cameras in your home? One of the best locations to install security cameras and sensors in your home is on the perimeter of your home. For most homes, the perimeter usually features a gate or a fence, along with some space that is either designated as the front yard or driveway. The front yard and driveway can be considered a sort of secondary perimeter, but they will be given their own section. 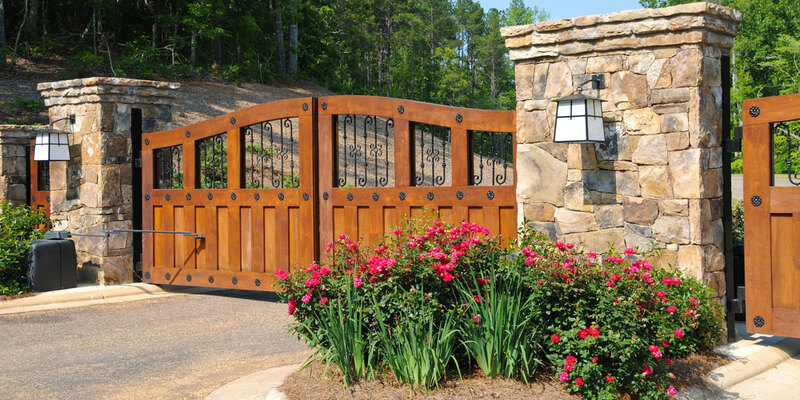 In many ways, gate security and perimeter security are enhanced by the presence of sensors and surveillance cameras. Now, there are many different facets to be considered when it comes to perimeter security, and surveillance is one of these important factors. The effectiveness of your perimeter security system is directly tied to the overall effectiveness of your home security, so it should be taken seriously. After all, a well-rounded home security assessment will factor in perimeter security. Although surveillance cameras on their own are not nearly enough to combat some of the threats to your security, they are crucial in getting some of your other security deterrents to work the way they should. 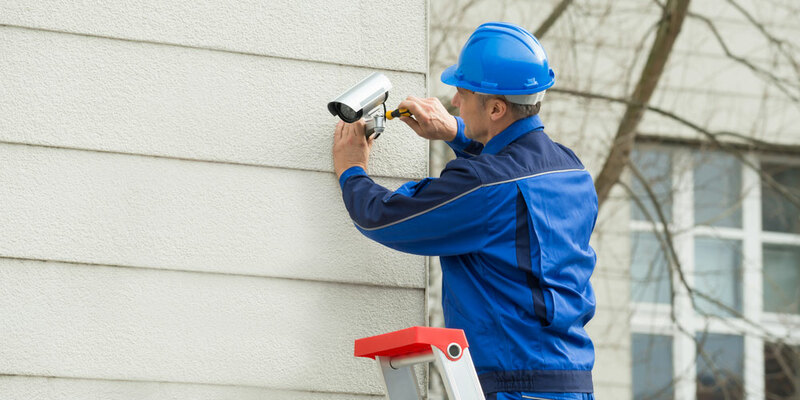 When it comes to installing surveillance cameras and sensors on your perimeter, you should keep the things that were discussed earlier in mind and choose the location accordingly. The first and most important thing is that you should consider the kind of security camera you have. Ideally, it should be a security camera that is equipped to withstand the harsh conditions of continued exterior use. Cameras such as the NestCam outdoor security camera or the Netgear Arlo Wire-free camera are perfect for exterior use. Security cameras should be mounted on locations around your perimeter that allow them to fully capture the full space around it. The focus should be given to off-street areas around your home that do not get as much visibility. Burglars prefer to use these kinds of locations so mount your surveillance cameras accordingly. The good thing about focusing on the perimeter of your home is that you can make use of security cameras and sensors as well. You will notice that this will become a common theme for the other locations that will be discussed below as well. Ideally, security cameras should be placed in locations around your perimeter that are hard to reach. In this way, even if they cannot be kept obscure because they are out in the open, they will still not be easily accessible. When it comes to your perimeter obscurity may be hard to achieve, so it is best to focus on negating accessibility. Ingress into your home simply refers to the points of your home that serve as main access points. Similar to the perimeter of your home, the main ingress points of your home are prone to higher foot traffic and this makes them susceptible to potential attacks. In addition to being prone to higher foot traffic, they are also the most direct ways to get into your home. This is why installing surveillance cameras and sensors are at the main ingress points of your home is advised. Essentially, since it has the potential to be a major flaw in your security it has to be protected and guarded. One of the best ways to improve the security of your front door and other main access points is to utilize surveillance cameras and sensors. If homeowners pay close attention to burglary statistics, it’s easy to see that ingress points are targeted the most by burglars, home invaders, unauthorized guests, and the like. 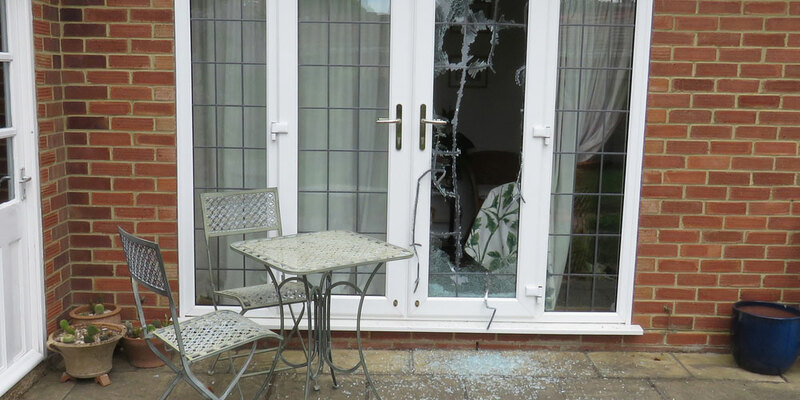 Approximately 34% of burglars use the front door in attempts to gain access to someones home. This is why security cameras should and sensors should be mounted in doorways for front doors, back doors, and any applicable side doors. Homeowners can double down by placing alarm sensors in their doorways to detect unauthorized access, while simultaneously having a surveillance camera, such as the Piper security camera, trained on the location of your doorway. Some of these surveillance cameras can be mounted on the door frame itself, or within close proximity to it to give you a wider angle and, perhaps, a better view. Most homeowners who do make use of surveillance cameras will have them installed outside of their front door or back door. However, when placing these, do not merely mount a security camera to a door frame and call it a day. Keep the tenets that were discussed above in mind as you choose a spot. It should also be pointed out that the focus range of an interior camera is much different than that of an exterior camera, so do make sure that you are installing a camera that has been designated for interior use. Also, choosing a camera that has night vision capabilities helps magnify its benefits. Auxiliary access points are similar to the main ingress points of your home, in the sense that they also grant access in some way, which is why they need to be kept secure. However, these are some of the best locations to install surveillance cameras for multiple reasons. First, burglars like to assume that they know how homeowners think, and in some regard, they’re close to the truth. However, this simple truth can empower you to beat them at their own game. Burglars often think that auxiliary access points go unchecked by some homeowners, so installing sensors and security cameras in these locations helps round out your security and reduce the likelihood of these other access points being exploited to give unauthorized individuals access to your home. Examples of these auxiliary access points include windows around your home, side doors, etc. Each of these points can be used to gain entry if they are not protected in some way. It helps to bolster your window security and fortify door locks that are used in these locations, but without placing sensors and surveillance cameras to monitor these locations you will be left in the dark. Surveillance cameras will be at their least effective in these locations because they are sometimes tight spaces that do not lend themselves to the kind of surface area surveillance camera needs to be effective. However, this is where sensors will have their day in the sun. Now, remember when I categorized driveways as part of the secondary perimeter? Garages should be given that distinction as well. I believe that they should be treated separately from the primary perimeter of your home (which is your gate/fence), and they should also be treated separately from the main section of your home. This is why they are classified as the secondary perimeter. When it comes to your driveway, it will be extremely difficult to employ the use of sensors, and this is only because driveways tend to cover a wider surface area. As such, using security cameras that are located on your home and pointed in the direction of your driveway will help you effectively monitor this part of your home. The same can be said for your garage, although this depends on whether you have an adjoining garage or one that stands on its own. Regardless of the type of garage that you have in your home, you can make use of both security cameras and sensors alike. For detached garages, it would be best to install exterior surveillance cameras attached to your home that are facing your garage. It will also be advisable to install interior security cameras and sensors within the garage itself to be used in conjunction with some of the best garage door locks. Throughout the course of this article, I have made it a point to stress on the fact that security cameras, surveillance systems, and alarm sensors are not active security deterrents. They are meant to help homeowners monitor certain aspects of their home in a seamless fashion. Even though they are not active deterrents, they still have a role to play. However, this role is only as effective as the active security deterrents that are built around it. Security is all about layers, and this also applies to home security. Make sure that your surveillance system and sensors are not left standing on their own. This is where high-security door locks and other home security mechanisms come into play. Take the time to understand the weaknesses that your home faces, and gradually build layers of security that help you guard against these.